Let your heart sing when designing with our Vintage Music pattern. The featured design has the vintage musical instruments on a light yellow background, however, you can select any color. We have selected a classic red ribbon along with a square label that features the accordion along with a name for the personalization. 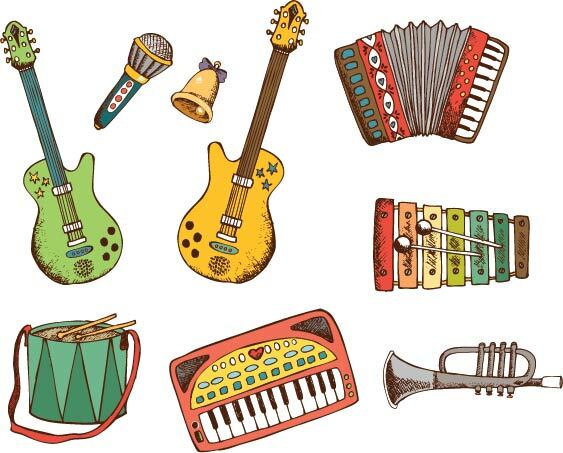 You have a choice of instruments to feature on the label - your choices are: vintage guitar, xylophone, accordion, trumpet, keyboard, drum, microphone or bell and of course you can personalize it with your choice of text. Pair your coin purse with a personalized checkbook or wallet to create a purse set.